The pre-election period (PEP) is over, and we can talk publicly about our work once more. First of all, I'd like to welcome our new Cabinet Office Ministerial team: Oliver Letwin, Chancellor of the Duchy of Lancaster; Matthew Hancock, Minister for the Cabinet Office and Paymaster General; Rob Wilson, John Penrose and George Bridges, Parliamentary Undersecretaries; and Robert Halfon, Minister without Portfolio. Although we were quiet in public during the PEP, we were by no means idle. Work continued on our preparations for government as a platform, and on many other projects besides. 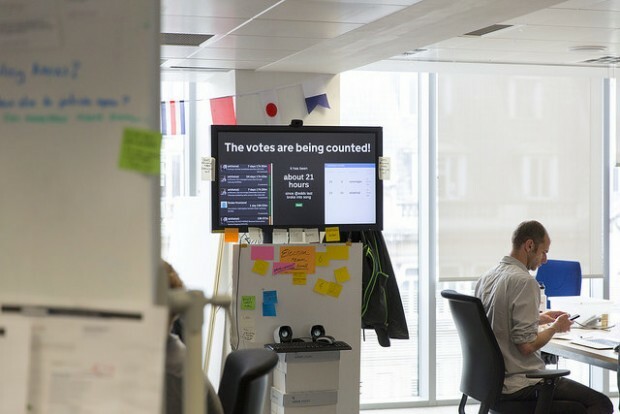 the GOV.UK team have been busy with a great deal of work, including keeping everything up-to-date during the election and subsequent reshuffle. It was great to see GOV.UK handle the change of government so smoothly, as it was designed to do. Most people won’t have noticed any difference. That’s the idea. There’s loads more to do. We will have more to tell you in the very near future, particularly about government as a platform and my new role as Chief Data Officer. Thanks for this helpful reply Carrie. I have shared it with colleagues. Welcome back from me too. Thanks for your comment. A steering group has been established, facilitated by Department for Communities and Local Government (DCLG), to enable GDS and others to work with and support Local Authorities as they develop their spending review proposals. I'm disappointed you don't allow for more open commenting. You could use a system such as Disqus which allows for moderation but also allows for commenters to be more visible. Welcome back, I've missed your updates! Always a good read. Hi Mike, glad you love my songs, man!